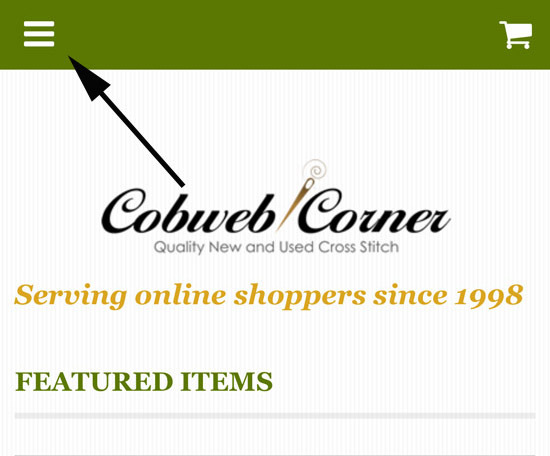 Shop Cobweb Corner Cross Stitch any time, anywhere with our Mobile Apps. Available for Android and Apple devices. When you open the app you will start on the home page. Only a few products will be displayed. You must click on the three bars in the upper left corner to access the menu.